Robyn Hood Black - children's author, poet, artist - Books, Author Visits, Etc. 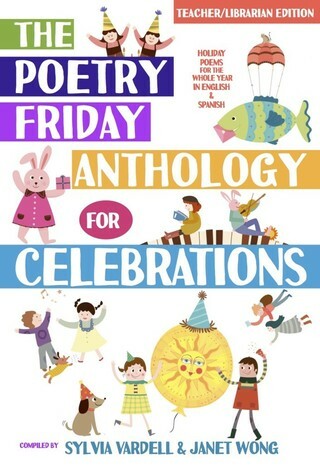 Poetry Friday Anthology for Science - for Kids! 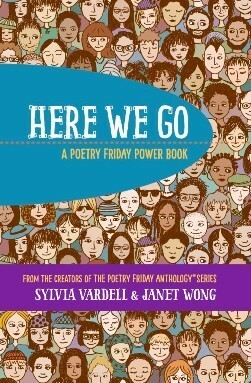 Robyn's poetry appears in Sylvia Vardell's and Janet Wong's The Poetry Friday Anthology series (Pomelo Books), in Georgia Heard's anthology, The Arrow Finds Its Mark - A Book of Found Poems, (Roaring Brook Press), and in School People and Lullaby and Kisses Sweet compiled by Lee Bennett Hopkins (Wordsong and Abrams, respectively). More poetry is forthcoming in an anthology by J. Patrick Lewis (National Geographic). Amy Ludwig VanDerwater included a poem in Poems Are Teachers - How Studying Poetry Strengthens Writing in All Genres (Heinemann). Robyn's work has been published in Ladybug, Hopscotch, forthcoming in Highlights Hello and in leading haiku journals and a handful of haiku anthologies. In 2016 she became Southeastern Regional Coordinator for the Haiku Society of America for a year, coordinating an Earth Day weekend workshop/meeting in April 2017. Robyn also coordinated a poetry retreat with Rebecca Kai Dotlich in June 2011 and has led several haiku workshops. She appeared on a poetry panel with Irene Latham and April Halprin Wayland at the Fay B. Kaigler Children's Book Festival in April 2013. Robyn's haiku have appeared in Frogpond, Modern Haiku, The Heron's Nest, Acorn, bottle rockets, A Hundred Gourds, Prune Juice, Chrysanthemum, and Notes from the Gean, as well as in several anthologies. She's presented haiku workshops at schools and for SCBWI Southern Breeze and for teachers and media specialists at the Georgia Children's Literature Conference (2012). She loves leading haiku workshops with students and fellow writers. She served a year as Southeastern Regional Coordinator for the Haiku Society of America, coordinating an Earth Day weekend and meeting in April 2017. In a classroom setting or for a larger group, Robyn will share her passion for children's literature as well as tips and techniques for stronger writing. 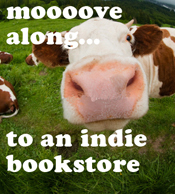 She'll offer insights into the writing life and publishing process. Robyn is also available to speak at writing conferences, festivals, etc., and has spoken to audiences of all ages. 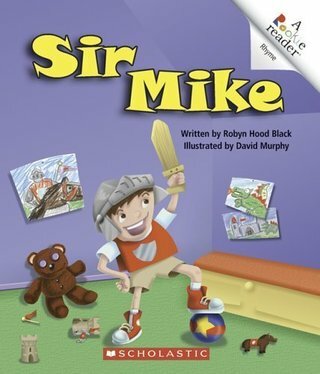 Robyn's fiction has appeared in Highlights. Her poetry has been published by Ladybug, Hopscotch and the former online magazine, Berry Blue Haiku (which also featured her artwork), and is forthcoming in Highlights Hello. Her work also appears in leading haiku journals. For many years she has written nonfiction animal profiles for the Core Essentials character education curriculum. In her life B. C. (before children), Robyn published hundreds of feature stories and photographs in regional publications, in addition to essays, poetry, and pen-and-ink illustrations. Robyn's school papers were always embellished with doodles. She's still doodling and drawing, with pen and ink, relief prints, and mixed media being her media of choice! She also has an art business and Etsy shop, artsyletters, featuring "art for your literary side."